Mowing Your Lawn — Mulch or Bag the Clippings? As the weather warms, your attention is probably turning towards mowing your lawn. 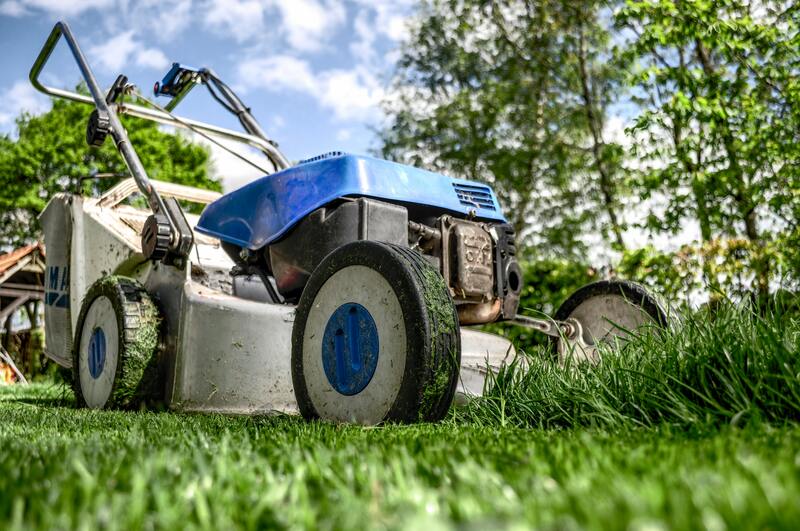 Depending on the type lawn mower you own, you have different options for disposing of the clippings. For those that are serious about their lawn and its health, it usually comes down to mulching the clippings or bagging them. Mowing height is another important consideration. Check our earlier blog post for advice on proper spring mowing height. The most popular way of dealing with grass clippings is probably mulching, but you need the proper equipment on your mower to be successful. To properly mulch your grass clippings, you need a lawn mower that is designed with this in mind, and many models come equipped for the job. These mowers include a plate to block of the side discharge port, and often have baffles installed on the underside of the deck along with specially designed mulching blades. The benefit of mulching is the grass clippings are returned to the lawn which helps retain moisture and nutrients. As long as you mow your lawn on a regular basis (once a week May-August), the clippings will benefit your lawn and will not cause a thatch issue. If you do not like to mow your lawn on a regular basis, mulching is not for you. Bagging your lawn clippings is another option to consider. If you do not mow regularly, bagging the clippings will help eliminate thatch build up. It is also hard to beat the look of a freshly mown lawn when the clippings have been collected. Grass clippings can be a great addition to a compost pile as well. Remember the more often you sharpen your mower blades, the better your lawn will look and mowing will be easier. If you choose to bag the clippings, utilize a compost pile instead of sending the clippings to the landfill. A downside to bagging is you are removing a great source of nutrients for your lawn. Keeping a lawn weed free and dark green is a partnership-fertilizer and weed control play a part in this—the other part is how and when you mow your lawn. Proper mowing can make all the difference in the look of your lawn and set it apart from the rest. We would love to help you with your lawn! Call us at 662-534-4535 or visit lawnandpest.net/estimate.